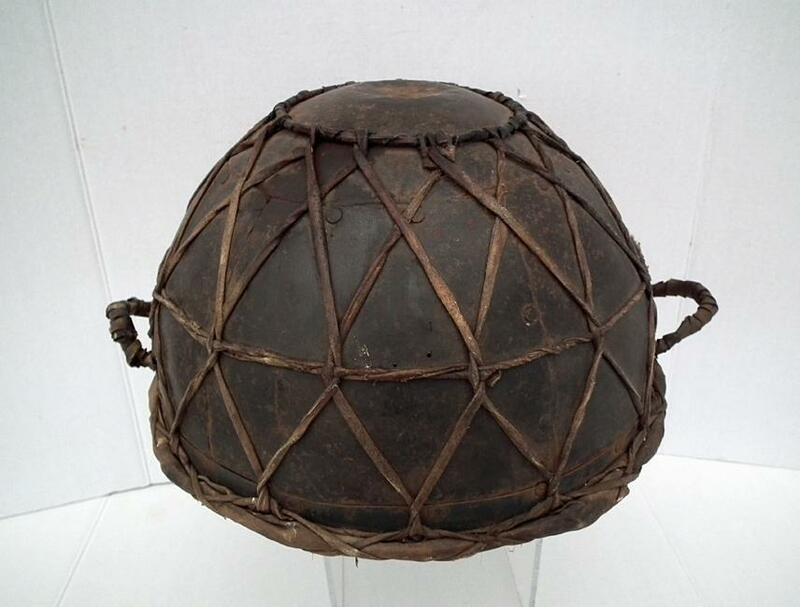 Antique Turkish Ottoman Islamic Military kettle drum, 17th-19th century. 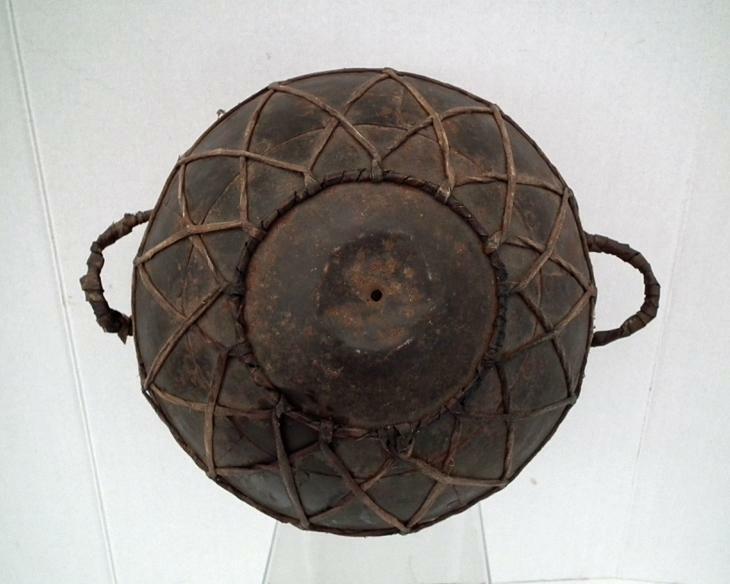 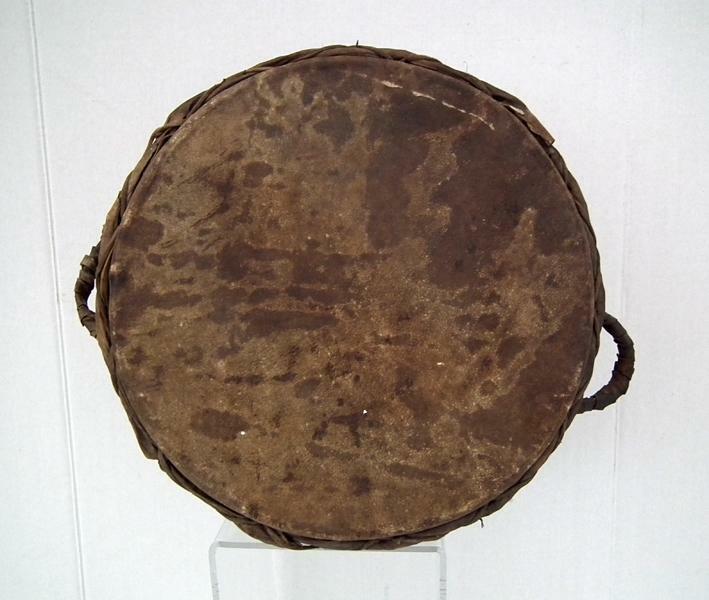 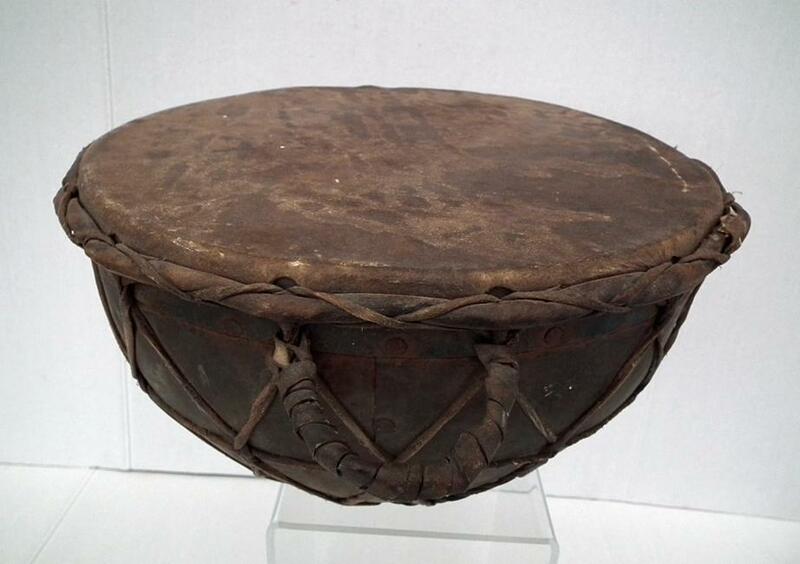 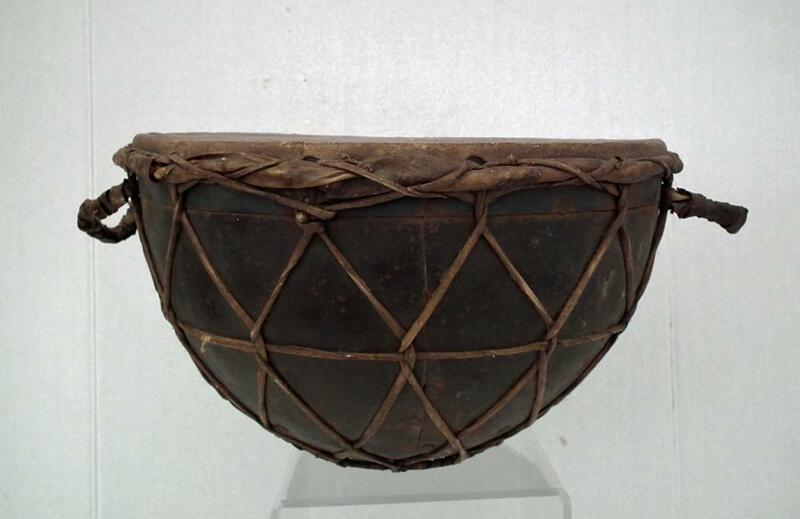 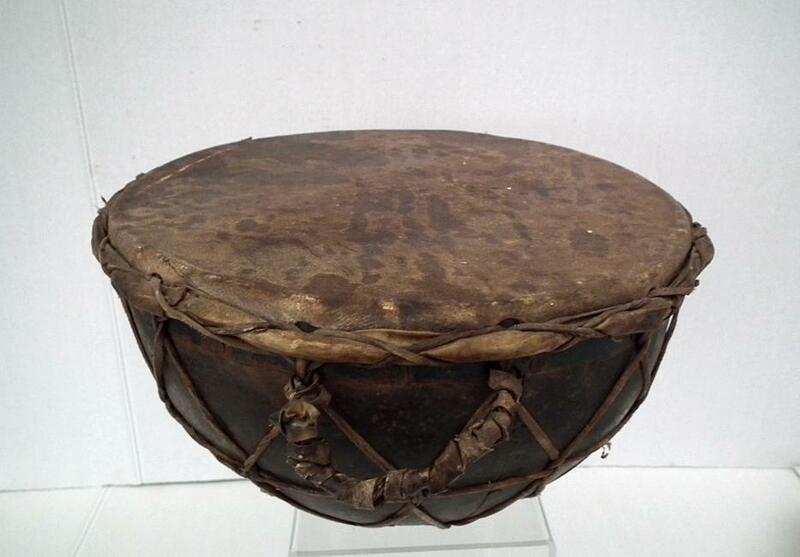 The body of the drum is made of several elements of hand hammered iron sheets riveted together and wrapped in leather lacings with hide top. 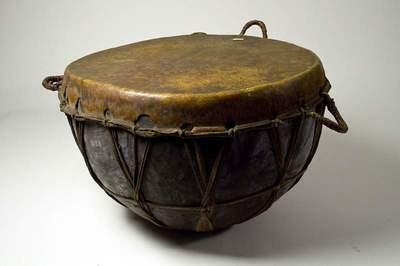 Such types of Kettle drums were used by the Ottoman army during the 17th-19th century. 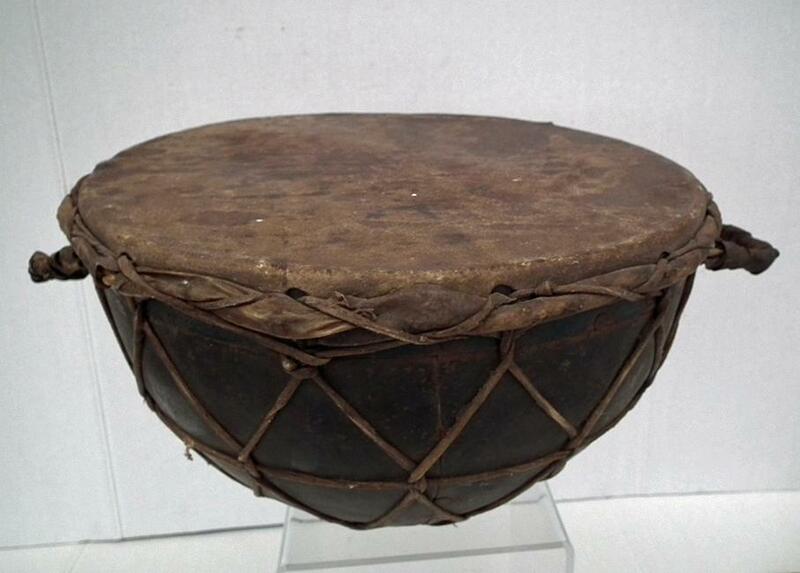 CONDITION: Item shows wear from consistent use, but it remains in good condition.